MOKA, an Indonesian cloud-based point-of-sale (POS) system, on May 7 announces its partnership with three of Indonesia’s e-payments platform, OVO, TCASH, and DANA. This makes Moka the first POS solution in Indonesia that allows businesses to accept all kinds of payments, from electronic money to debit and credit cards on a single platform. Moka provides retailers with powerful tools to start, run, and grow their business through its mobile POS. 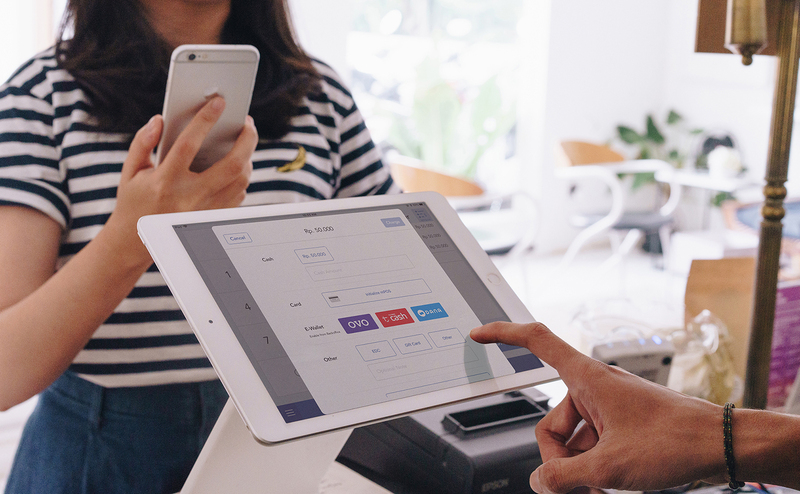 At the storefront, Moka provides a point-of-sale software that allows merchants to take orders, issue invoices and accept payments using a smartphone, iPad or Android tablet. Through Moka’s point of sale, business owners can also create their own loyalty programmes and promotions to increase sales, generate reports to keep a tab on their profits and revenue, get analytics on their best-selling items, see who their most valuable customers are and manage inventory across multiple outlets. “We just crossed a milestone of 10,000 paid customers across 200 cities in Indonesia. We are committed to providing world-class solutions to businesses of all sizes in Indonesia. Enabling businesses to accept digital payments is one way we are helping our merchants to grow their sales and profits,” said CEO and co-founder Haryanto Tanjo. Moka was founded in 2014 by Haryanto Tanjo and Grady Laksmono to help the legion of business owners across Indonesia who still run their companies manually and spend hours every day doing administrative work, such as sales and stock reconciliation. As the company expanded its offerings over the last 12 months, it has also found traction among larger retail and F&B chains which value Moka’s interface, built-in integration with e-payment platform, and the fact that there is minimal capital expenditure required to use the system. Moka’s point of sale processes over 50 million transactions worth US$600 million on an annualised basis. For the initial step, Moka has launched payment integration with OVO, an electronic money platform that has more than 9.5 million users in Indonesia. All Moka’s merchants will now be able to accept OVO payments directly from the Moka app after completing a simple activation process. “The partnership with Moka is mutually beneficial, as it will help us widen our acceptance across offline physical stores and increase transactions,” said Adrian Suherman, president director of OVO. “Also, we aim to support business owners by bringing high-value customers and seamlessly enables mobile payment, loyalty points, and priority deals." Moka has also signed partnerships with Telkomsel’s TCASH, an electronic money platform with over 20 million users in Indonesia, and DANA, Digital Wallet Indonesia with an open platform infrastructure. Moka plans to sign agreements with a wide range of electronic payment platform and fintech companies to further expand the company’s payments acceptance platform. “We want to drive more cashless transactions at physical, offline stores to bring more convenience to our merchants and their customers. Today any consumer finance or payments company can partner with us and get instant acceptance at thousands of merchants driving the goal of financial inclusion in Indonesia,” said CTO and co-founder Grady Laksmono.